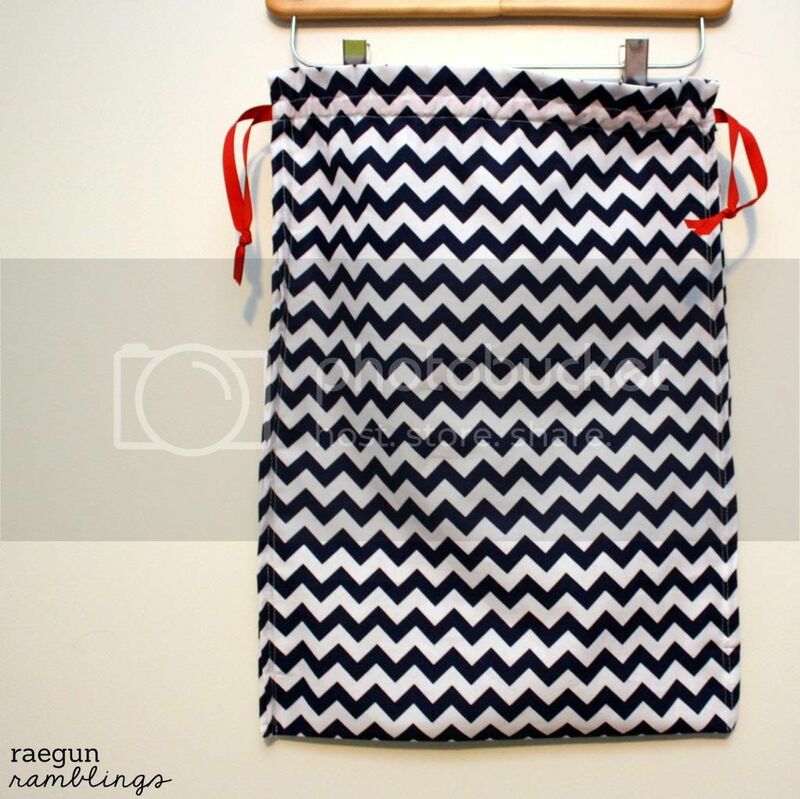 When I learned to sew as an elementary school kid my very first sewing project wast a simple draw string bag. 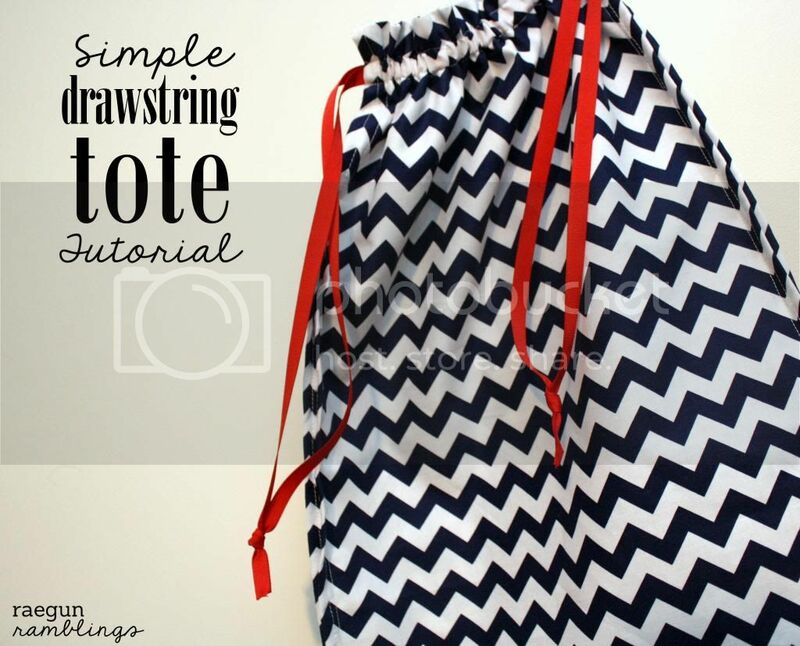 Drawstring totes just require a couple of quick straight lines so they are perfect if you are new to sewing or when you want to whip up something cute and quickly. This one is on exception. The simple style can easily be embellished like I did with a burlap painted patch. The measurements can also be increased or decreased to create many very different looking bags of all shapes and sizes. You can use these same basic instructions for a cute kiddo bag for holding toddler treasures or something larger like this one that could tote around binders, food, or a number of other goodies. If you want to have a patch like mine prepare the patch first. I made myself a stencil on my Cricut and used fabric paint to create my design. I used designs from the “A Child’s Year” collection if you want to do one like mine. If you don’t want to do a patch I actually like the plain look a lot or an outside pocket would be really cute too. I pulled some of the vertical threads from the burlap to get the fringed look on the ends. After your patch is done fold your main fabric in half lengthwise this will be the front of your bag. 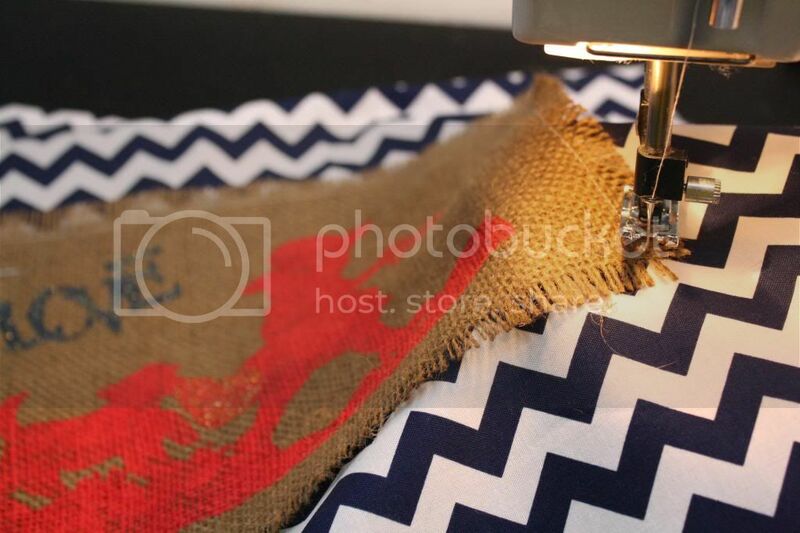 Pin the patch to one layer of the fabric (make sure that the fold is below the patch so it ends up being right side up) and sew it onto your main fabric. Finish all four edges of the fabric so it does not unravel. I serged mine but you can do a zig zag stitch or use pinking sheers too. Then finish both long edges by rolling the edge under and stitching. Next make the casing. Fold over one of the short edges about 2 inches and sew near the bottom edge. Then sew a line parallel to that (a little wider than your ribbon). It should look like the picture to the left. Do this to both short edges. Then fold the fabric in half (fold positioned downward) with the right sides out so it looks like the finished bag. Now you should have something that looks like a pillow case with two flaps with a casing along the two flaps. Kind of like the second picture but without the ribbon. Seal your ribbon by running the ends over a flame. Next string the ribbon into the casing (the middle space you created in the top flap). One side of the string should go in each side with the ribbon middle/fold of the ribbon on one side and the tales of the ribbon on the other. Do this with the other piece of ribbon so that it’s tales are on the opposed side. Tie knots. If you pull on the strings you’ll be able to cinch you’re bag. And you’re done. You just made a drawstring bag. If you are new to sewing and overwhelmed just think of it as sewing 6 straight lines. I know sometimes it gets a little hard to read directions but look at that second picture while your going through and that might help. Let me know if you have any questions. This turned out so cute! Great tutorial. Cute! You are kind of fabulous. Have I mentioned that lately? I love your easy to follow tutorials!!! ahhh chevron! so cute. I love it! I love this little bag! Love the patch on it! Looks fantastic! So cute, I definitely want to try this one day! Pinning! That is so cute, especially love the design on the hessian. Great job. Thanks for sharing this tutorial! I love the patch you added to the tote too! So cute! The perfect little sack! So fun! Thanks for sharing this at my Pin Me Linky Party. This is great! 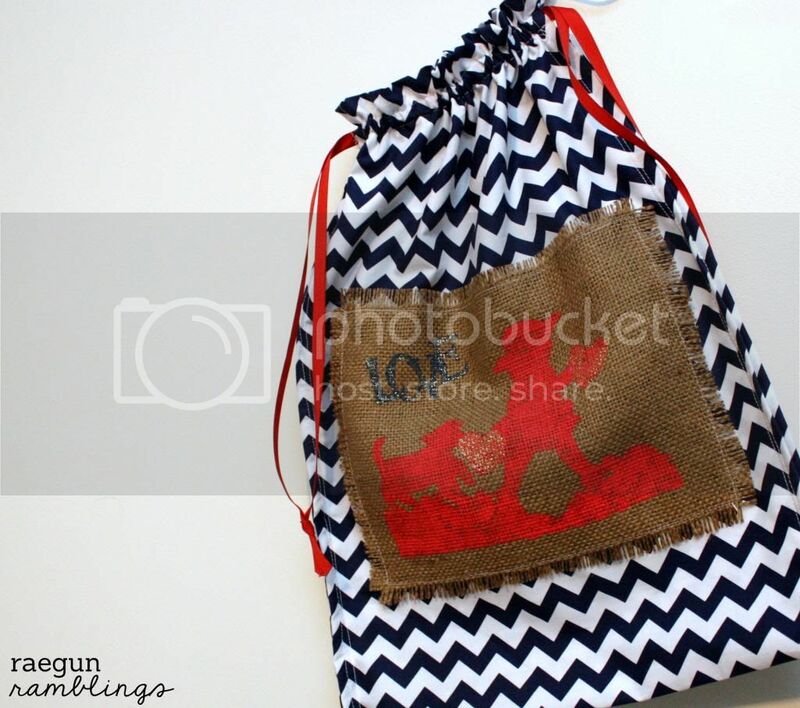 Not a big burlap girl but this bag is so stylish and looks really easy to make. 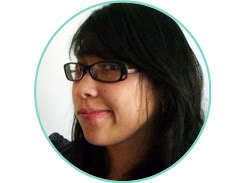 I am pinning now! Seriously loving this bag! Great tutorial! You are a Featured Favorite this week on Cheerios and Lattes! Thanks for sharing this last week, we can’t wait to see what you’ve been up to this week! Have a great weekend! This is awesome! I love the chevron. I love all your creations. You are so talented! I would love if you link this post to my linky party. It’s up for a month so you get the max views on your posts. Such a cute tote and I am loving that fabric. Found you over at Under the Table and Dreaming! Where did you find that fabric? Great Job…. yes it’s really good. thanks for sharing. Hey – this would be a great tutorial if you updated the photos… thanks!